Any Tim Ferriss fan knows the podcast king is a master of productivity. But - without a good night’s sleep, productivity is hard to come by. As a self-professed lifelong insomniac, Ferriss has tried every trick in the book to fall asleep, from hanging upside down to taking an ice cold bath before bedtime. This September on The Tim Ferriss Show, Ferriss shared his top five tips and tools for better sleep. Which of these tactics - if any - do you swear by? White noise. Ferris recommends the Marpac Dohm, but any white noise machine will do. Keep it cool. Ferriss has found that a warm bedroom is the single biggest barrier to sleep. He makes his room as cold as he can tolerate - often around 65 degrees Fahrenheit, or 18 degrees Celsius, for those of us north of the 49th. The top layer of the Endy Mattress is infused with cooling gel for this very reason. Go to bed early(ish). Ferris, once a night owl, traded in his nocturnal ways for a better night's sleep. He recommends getting in bed by 11 PM, especially if you experience anxiety or depressive symptoms late at night. Try supplements. Ferriss prefaces this tip with: “I’m not a doctor. I don’t even play one on the internet” - but, he has found that two supplements in particular (N-Acetyl Cysteine, or NAC, and Lithium Orotate) have been helpful for him in very low doses. Speak with your doctor before incorporating supplements into your nighttime routine. Our #1 tip for the podcast mogul? Sleep on an Endy. 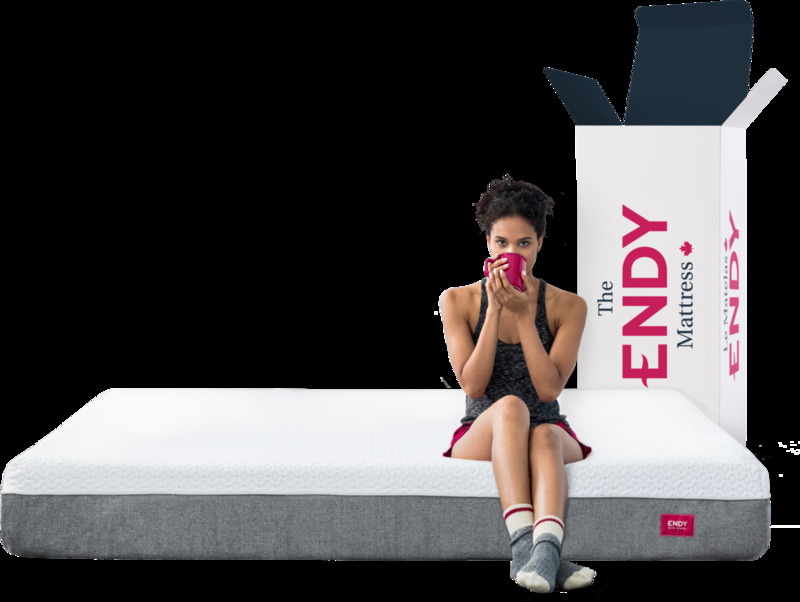 The Endy Mattress is made with proprietary Comfort Foam™ - note: NOT memory foam - which provides not just optimal comfort and support, but temperature control, pressure relief, and motion control resistance. Plus, Endy’s top layer is infused with cooling gel, keeping you cool and comfortable all night long. No more sleepless nights. Just deep, restful shut-eye. Tim, if you’re reading this: We might not ship to the US, but we’d gladly make an exception just for you.